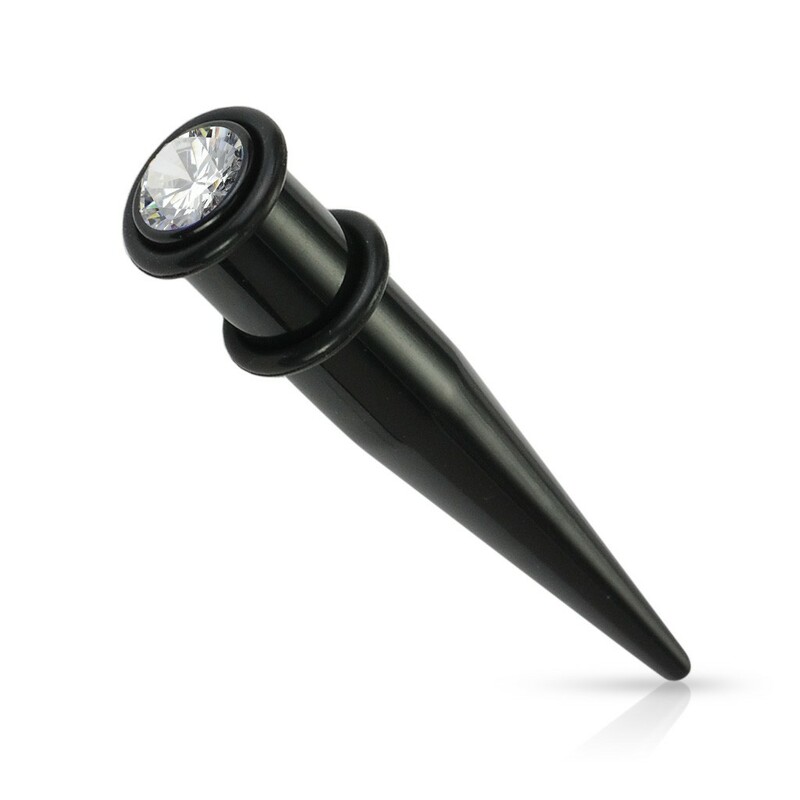 This popular ear stretcher is made from acryl and UV. Besides that this ear taper carries in its center a beautiful crystal which has a subtle but pretty shine. Straight tapers are suited for ear stretching. We also have more blackline ear stretchers below this page.